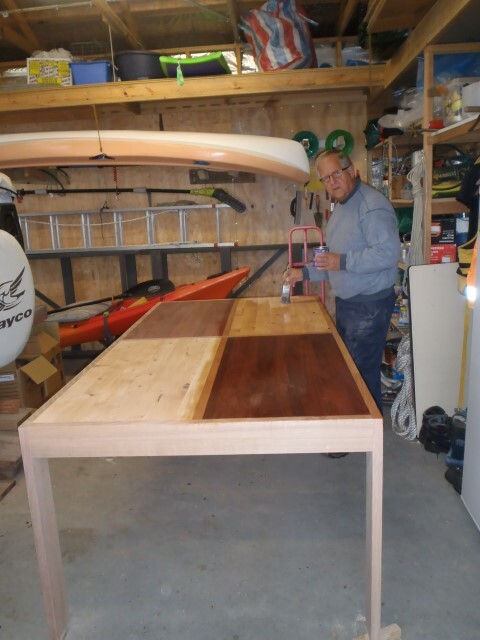 Photos of projects that I did at the Men’s Shed. 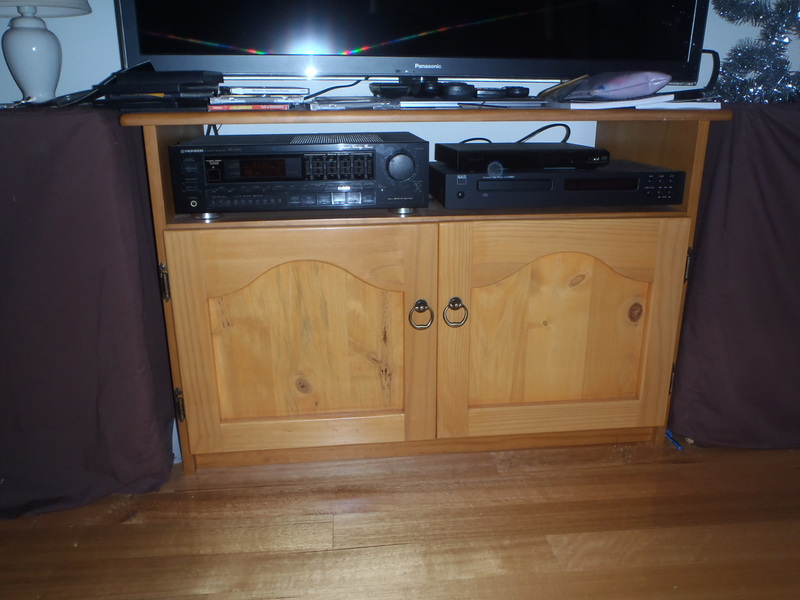 Cabinet doors: I made the stereo cabinet 20 years ago, however I never got around to making the doors so I made these doors at the Shed from recycled pallets. Coffee Table: I made the coffee table frame from recycled Oregon from Hobart Casino louvered door frames. The panels are from scraps that I found around the shed. The panels are: Tas oak, myrtle, macrocarpa and recycled pallet. Outdoor coffee table: The boys at the shed named it a beer table. It is made from recycled laundry room shelf framing from the Casino. Pair of occasional tables. The frames were made from a recycled veranda post and the tops were made from recycled oregon garden shed shelves. The woman who brought the old shelves in said that the timber had come from a 120-year-old house renovation in Hobart before being used for shelving. Dining Table. The table parts were made at the shed and the final assembly was completed in my home workshop. The table frame is made from recycled Hobart Casino Laundry Room shelving. The light coloured panels are celery top wall panelling kindly donated by fellow Shed member Gerry. The dark coloured panels are jarrah wall panelling found at the Shed. Veggie patch. 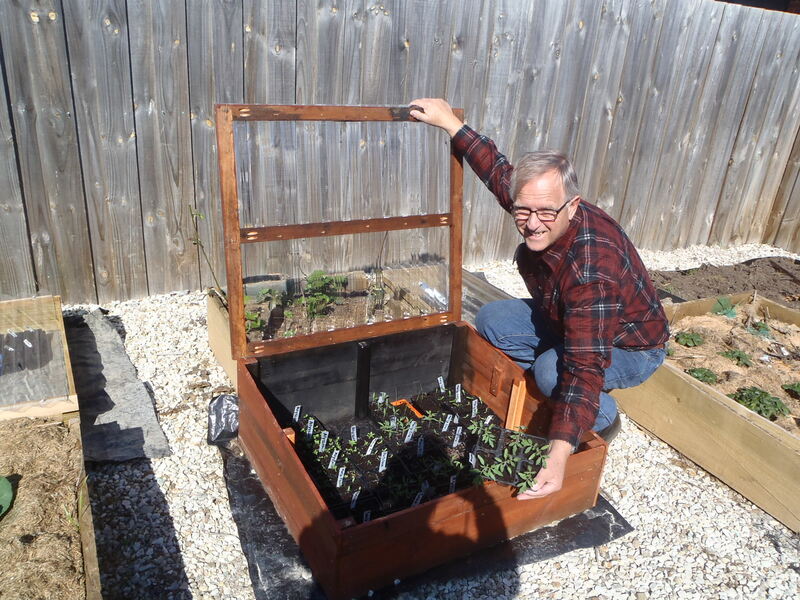 The cold frame was made from recycled palings and recycled wood from the Casino, both found at the Shed. The north facing back wall is painted black to help heat the frame. I have placed black plastic on the floor also to help heat the frame. I sowed my vegies on the first of August and they came up well. Bench stool. The stool was made from recycled wood from the Casino and also recycled pallet.